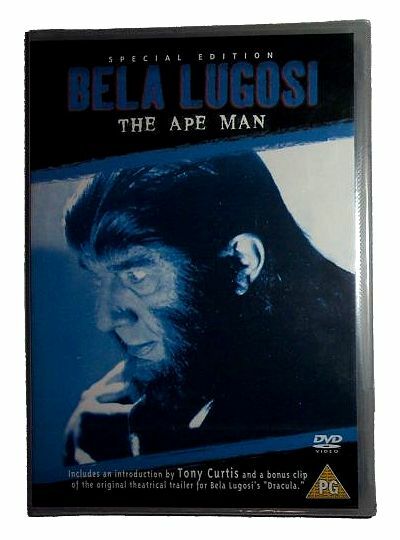 Mad scientist Dr. Brewster (Bela Lugosi), long thought dead, is actually working away in his basement laboratory on a serum derived from gorilla spinal fluid. Experimenting on himself, Dr Brewster is dismayed to discover that the injections have given him a bushy beard and begin to force his spine into a simian posture...Directed by the infamous hack William Beaudine, THE APE MAN is a roaring success as a camp classic. Special Features Includes an introduction by Tony Curtis and a bonus clip of the original theatrical trailer for Bela Lugosi's "Dracula".